Twenty-Five Mile Creek State Park is a 235-acre inland waters camping park on the forested south shore of Lake Chelan. The park separates the mountains from the lake and is surrounded by spectacular scenery. 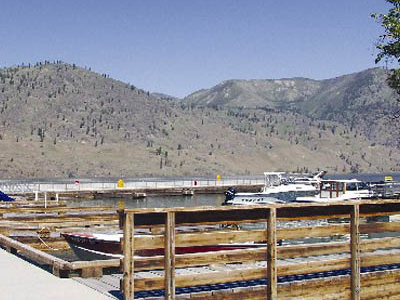 With its modern marina, the park affords visitors excellent boating access to the upper reaches of Lake Chelan.The park has 46 tent spaces, 21 utility spaces (13 full hookup and eight with water and electricity) and dump station. The park is known for its boat accessibility. Boating exploration of the uplake wilderness portions of Lake Chelan is possible from the park. A nearby ferry takes visitors to a roadless community at the head of the lake. The park offers wading opportunities.Visitors may enjoy hiking and scuba diving. Here's the our members favorite photos of "State Parks in Washington". Upload your photo of Twenty Five Mile Creek State Park!